Spam is really a problem if you have a WordPress blog, a forum or a guestbook. A very common approach to solve this problem are CAPTCHAs - Completely Automated Public Turing test to tell Computers and Humans Apart. 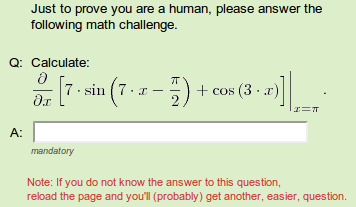 The idea behind CAPTCHAs is to give the spammer a problem which is hard to solve for a computer program but easy to solve for a human. I hope nobody seriously pays the 6 Euro for Web Wiz. As many very simple CAPTCHAs it lacks a support for blind people. It is quite easy to read for humans, but I guess also for bots. They always use only five random characters which are written in blue. They added some dots and straight lines to make segmentation more difficult. I guess they never tried to hack their own CAPTCHA. If they did, they should be aware that those small dots don't change anything and the straight lines can easily be detected and removed. It also seems to me as if they only used one font. They use the reader (or spammer) to digitalize the books they scan. So if someone uses very good algorithms to bypass their CAPTCHA, the spammer will help Google. This is a very nice way to end up in a win-win situation, isn't it? 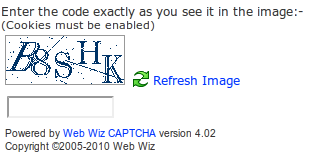 reCAPTCHA has also support for blind people. The characters you have to type in are actual words. This makes it a lot easier for humans to recognize the characters. 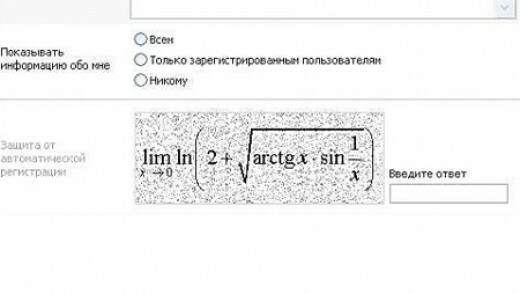 reCAPTCHA is very easy to use. No need of GD or ImageMagick. If you can't read it, just reload it. 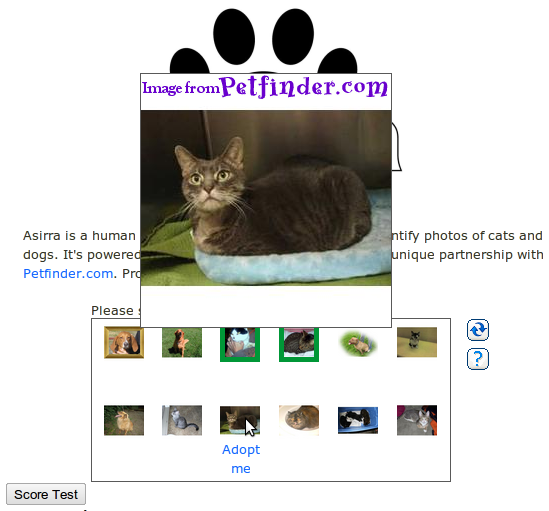 Here is another "traditional" CAPTCHA example. Which of milk, hotel or brain is a body part? How many letters in "devotional"? The word "tamers" has which letter in 2nd position? Which of knee, leg, ear or ankle is above the waist? I don't think this type is very good as the spammer has to do almost the same amount of work as the programmer. He has to parse the different types of questions, but I guess this isn't too hard. He might just ask Google: what is 7 minus 3 times 2? or what is the number of horns on a unicorn times the answer to life, the universe, and everything?. 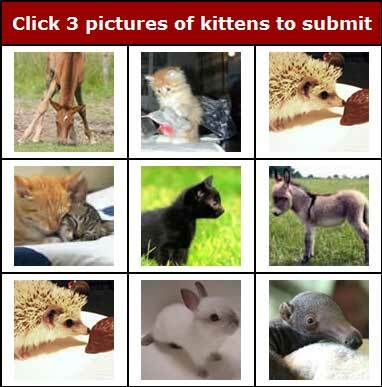 To get through this CAPTCHA, you have to play a short game. You can get PLAYTHRU here. 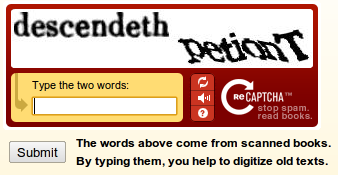 reCAPTCHA: I recommend this one.